Shelly & Sands Inc. has completed the first year of the four-year contract to rebuild and widen a 4-mi. (6.4 km) stretch of Interstate 80 in Ohio’s Trumbull County, along with the widening and rehabilitation of seven bridges and replacement of six bridges. Shelly & Sands Inc. has completed the first year of the four-year contract to rebuild and widen a 4-mi. 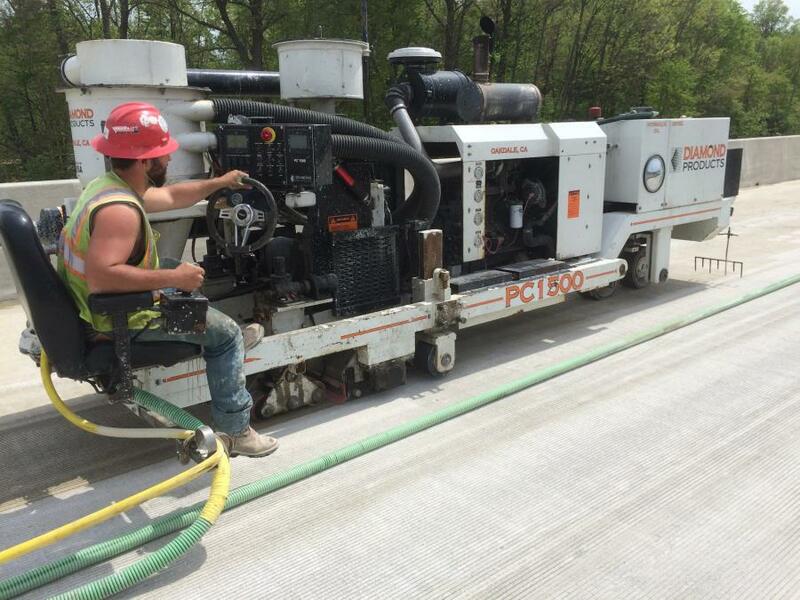 (6.4 km) stretch of Interstate 80 in Ohio's Trumbull County, along with the widening and rehabilitation of seven bridges and replacement of six bridges. The Ohio Department of Transportation project ($91.2 million construction, $102.2 million in total) began in June 2015 and will be completed in July 2018. The work is taking place in Austintown, Weathersfield and Liberty Townships, and within the city of Girard. I-80 is being expanded from four lanes to six between State Route 46 and SR193/Belmont Avenue. “The need is two-fold,” said Mike Simpkins, ODOT's planning and transportation engineer. “We have several bridges that are in need of rehabilitation and with increasing traffic volumes, there is a need for an additional lane. This is one of the top locations for truck traffic in the state — it's a major connector between Chicago and New York City. A lot of the exits in the area accommodate semi-truck needs. The design deals with areas that have poor sub-grades. ODOT is using a traditional road base with an asphalt surface on this job. ODOT has been pro-active in securing the work space and access to replace an 800-ft. (243 m) long bridge that spans two railroad spurs and a junk yard prior to the start of the project. This was needed as space was required to place the bridge piers. The expected lifespan for the pavement is 12 to 15 years and 30 to 50 years for the bridge work. The new road infrastructure was designed via a partnership between MS Consultants and the GPD Group. Current access to the highway is being maintained, with no changes to the ramps and exits/entrances. The traffic plan is based on a minimum of one lane of traffic being maintained in each direction of I-80 during non-peak travel times, along with various ramp closures throughout construction. 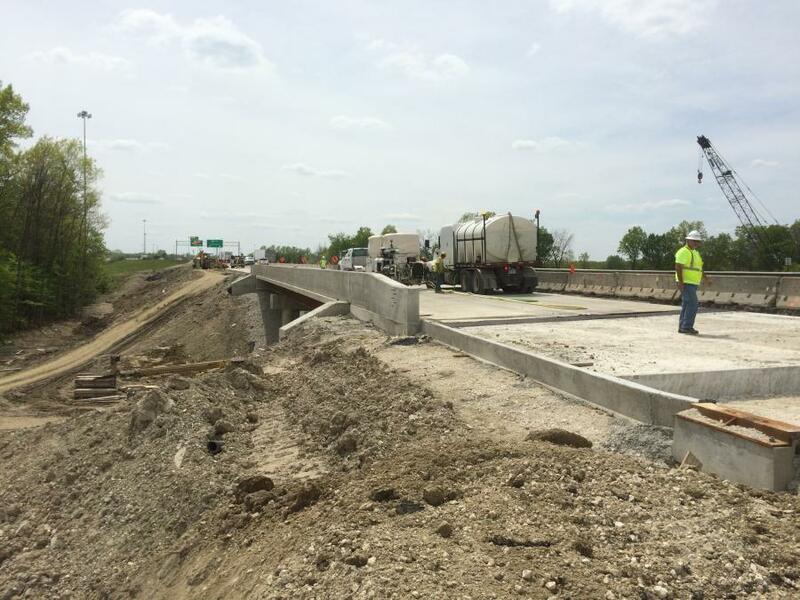 The work completed in 2015 included the widening of the exterior lanes of I-80 eastbound between SR 46 and U.S. 422 and for the current construction season, S&S crews will be widening the interior lanes of I-80 eastbound between SR 46 and U.S. 422, with the Keffler Bridge Company replacing the large bridge over the scrapyard and railroad, just west of U.S. 422. Keffler is responsible for all bridge work. Mike Sdregas, ODOT's construction project manager, is pleased with the ongoing progress. Dan Kirsh, Shelly & Sands project manager, said that his crews have completed Phase One of the project and have started Phase Two, with plans to initiate Phases Three, Four, and Five later this year. “We're building a lot of temporary roads on the outside so that we can build the third lane in the median part of the eastbound and when that is completed,” he said, “there are several eastbound ramps to do. The job includes I-680 eastbound and westbound, I-11 northbound and southbound, along with I-80, the interchange at Salt Springs Road, the 7/11 collector, and U.S. 422 — these are interstates with ramps. Coordination with ODOT is the key to success and attention to detail. Kirsch explained that four traffic fatalities that occurred in the work zone last year have galvanized everyone to make sure that nothing is left to chance. S&S worked throughout the winter with crews removing a lot of concrete, opening up some areas and setting wall in some areas. Some concrete also was put down. Kirsch holds monthly meetings with the subcontractors and coordinates the schedule and work with ODOT. Crews are working mainly during the day, along with night work for certain aspects, and Kirsch plans to work throughout the year as much possible to meet the 2018 deadline. Much of the night work involves setting wall, shifting the work zone or paving a section of road. Protecting motorists and construction crews is a priority for Kirsch. Shelly & Sands will be removing a large amount of materials from the site — more than 100,000 cu. yds. (76,455 cu m) of reinforced concrete, 5,000 tons (4,535 t) of steel, 750,000 cu. yds. (573,416 cu m) of excavation, and 120,000 tons (108,862 t) of asphalt. Materials being brought in include 70,000 cu. yds. (53,518 cu m) of concrete, 1.5 million lbs. (680,388 kg) of rebar, 10,000-plus tons (9,071 t) of steel, and 200,000 tons (181,436 t) of asphalt. On a daily basis — Monday to Saturday, there could be anywhere between 75 and 125 people on-site, with close to 50 S&S personnel. The principal subcontractors include: Keffler Bridge Company for bridge work; BMG Construction for barrier walls and concrete work; Lionel Construction for maintenance, traffic concrete work and paving; Lake Erie Construction for signage and guard rail installation; and A&A Safety for traffic control, striping and temporary road signage. City Concrete, City Stone and Sibley Concrete are supplying a lot of the aggregates. While the job site is an hour away from the company's main yard/shop in Zanesville, Kirsch in addition to renting a temporary office for the project, also has rented a large temporary shop for repairs that has two 18-ft. (5.4 m) doors and an overhead crane to help lift heavy equipment. There also are some on-site mechanics. 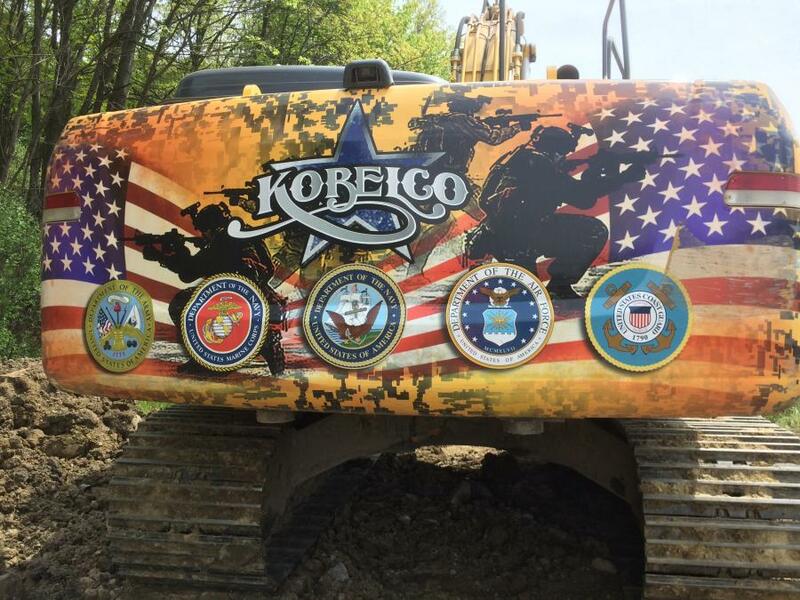 On this project Shelly & Sands is using Cat and John Deere dozers; Cat and Case backhoes; Kobelco, Komatsu and Cat excavators; a 16 G Cat grader; two Komatsu loaders; Volvo 40-ton (36 t) rock trucks; Ingersoll Rand and Galion rollers; Vermeer underdrain equipment; Blaw Knox and Cat pavers. Keffler is using a 120-ton (108 t) Manitowoc crane, along with Grove 60-ton (54 t) cranes. Shelly & Sands often purchases and rents equipment and vehicles from Columbus Equipment and Southeastern Equipment.